MOTO 4 TECH is a new generation, high technology lubricant guaranteeing high endurance performance and improves the power of your engine. 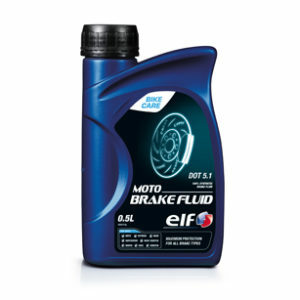 It guarantees an optimal cleanliness of all parts of the engine and ensures smooth and slick gear changes. 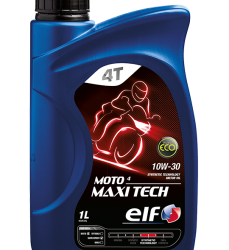 * ELF MOTO4 TECH 10W-50 is a lubricant that is particularly recommended for all types of high-performance 4-stroke engine motorcycles, in compliance with the API SL and JASO MA2 international standards. 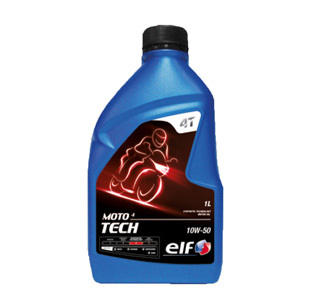 * ELF MOTO4 TECH 10W-50 is a new high-technology new-generation lubricant which guarantees extremely high performance over a long time and improves engine power. It keeps all engine components optimally clean and ensures that gear changes are smooth and responsive. 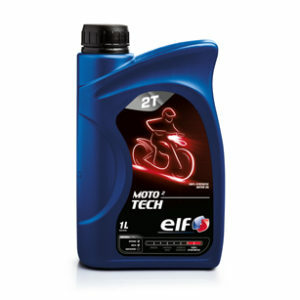 * ELF MOTO4 TECH 10W-50 is an active synthetic technology oil which keeps your engine cleaner. This multigrade oil has successfully undergone severe testing in competition. Its viscosity is adapted to handle temperature variations in the engine’s metal components ranging from -25°C (cold start-ups) to 330°C (in the top rings). * ELF MOTO4 TECH 10W-50 is ideally suited to urban traffic use, rural conditions and high-speed motorway travel. 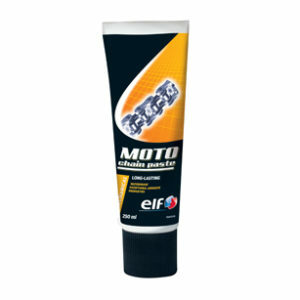 * Good thermal stability and oxidation resistance: ELF MOTO4 Tech 10w-50 has successfully passed a very exacting oxidation test. This high quality lubricant provides good thermal stability; it remains fluid and efficient during all temperature variations. TECH 10W-50 formula prevent deposit formation, maintain hydrodynamic lubrication and preserve the original power of your engine. TECH 10W-50 provides users with ideal performance in extreme pressure conditions. The lubricant’s chosen viscosity levels guarantee engine protection thanks to its anti-wear properties (oil film thickness). Its molecular structure resists extreme transmission pressures. * Smoother gear changes: Specific additives create a protective layer which makes for smoother gear changes, reduces mechanical and transmission noise and protects metal parts in contact. Prolongs gear box life. Special formulation providing extra grip when changing gear. Power transmission approved.